Over 15 years, the smoking rates in NSW have dropped by more than seven percent the NSW Population Health Survey revealed. 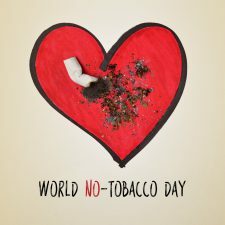 The research was released on World No Tobacco Day and showed that while 22.5 percent of adults were smokers in 2002, the number has now dropped to 15.2 percent. Chief Health Officer Dr Kerry Chant said the decline in smoking was across various population groups, News.com.au reported. “We need to be vigilant to ensure that smoking rates continue to decrease, as there has been a stabilisation of rates in recent years,” Dr Chant said in a statement. However, in regards to a decline in annual smoking, Australia still sits behind Iceland, Norway, USA, UK, Canada and New Zealand.